Having your iPhone wiped is something that can be done when the circumstances calls for it. For example, if you are selling or donating the device, wiping it clean is one way to remove sensitive data that shouldn’t be seen by others. Also, when you start experiencing some unnecessary lagging and sluggishness, then it could be time to wipe it clean. If you are confused about how to wipe an iPhone, here introduces you 5 top iPhone wipe tools for a permanent wipe iPhone 7/7 Plus/SE/6s (Plus)/6 (Plus)/5s/5c/5/4s/4/3GS/SE. iMyFone Umate Pro or iMyFone Umate Pro for Mac is the number 1 wipe tool for iPhone users. It is designed to be an all in one solution for space saving and privacy protection for all iOS device users. The tool comes with 5 erase modes that is designed to wipe out all kinds of data, including messages, videos, photos, attachments, passwords, etc from iPhone. The beauty of it is that all data wiped out remain unrecoverable to protect your privacy. 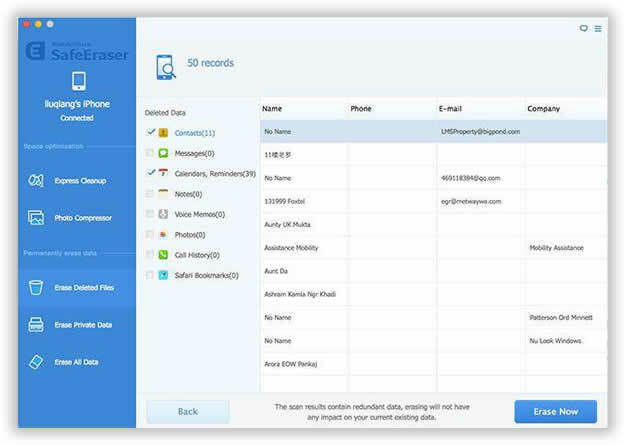 Erases third party private data and fragments. Utilizes 1 Click Cleanup for removing junk and temporary files. Erases data 100% with no chance of recovery. This is a wipe tool capable of cleaning all types of files. 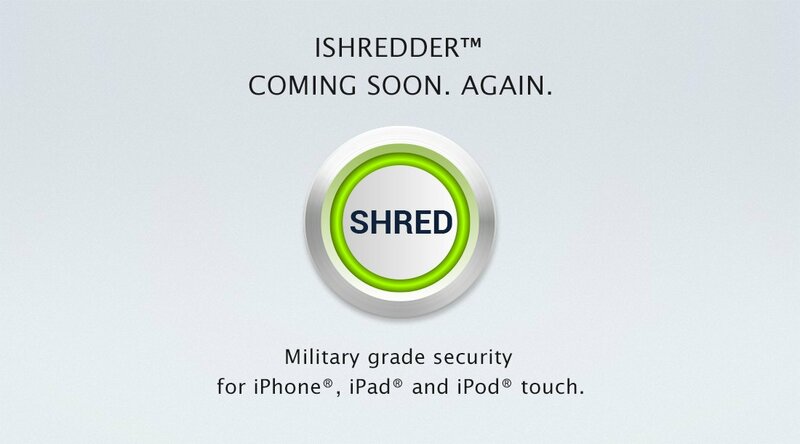 In addition, this tool is also capable of cleaning passwords to protect your privacy. iPhone data cleaner comes with 4 data erasing modes designed to clean the different types of data. Comes with “Express Clean up” mode that can clean all junks. Erase data in such a way that they remain unrecoverable. This top iPhone wipe tool is good at erasing all kinds of data using 4 different erasing models. It is capable of erasing messages, photos, videos and all junk files to create space on your device. 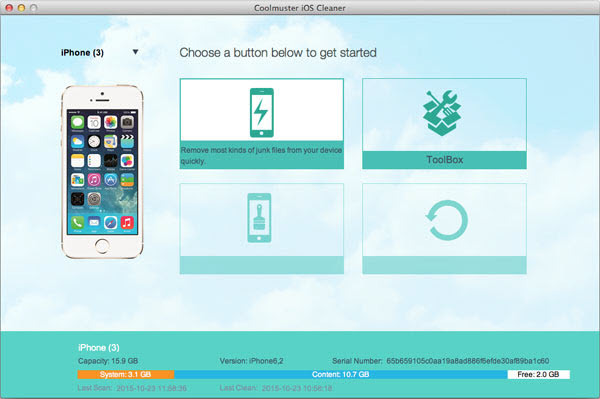 Like other iPhone wipe tools, Coolmuster is capable of erasing different kinds of files in such a way that it cannot be recovered by any means. Before using this tool like any other one, you may wish to create a backup option to secure your important files. Comes with different data erasing modes. This is a unique wiping tool in the sense that it sends all the unwanted data to Nirvana easily. It has a 3 step process of deletion and it is very easy to use. For this reason, it is actually a top iPhone wipe tool to have. Destroys data without the option of retrieval. Important: The wipe tools listed above all are well designed for your privacy protection. However, for the sake of comparison, it is important to note that the Umate Pro remains the stand out performer due to its unique functions. Clear Up Temporary Files-Clear up temporary files through its reliable 1-click clean up mode. Permanent Ease-Whatever the Umate Pro erases, it cannot be recovered even with the best recovery tool. Erase Photos/Videos-Erase your photos/videos as a result of storage space or privacy protection. Erase Third Party App Fragments-Only software to wipe third party app data and fragment. 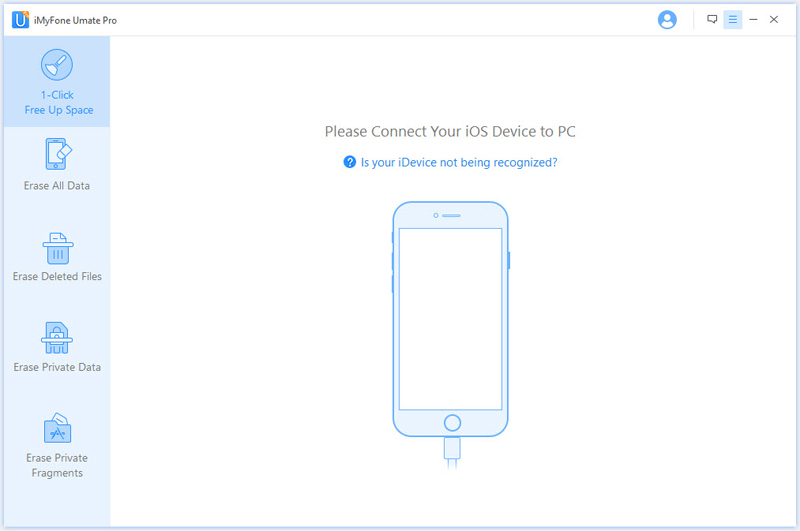 Step 1: Connect your device to the software. 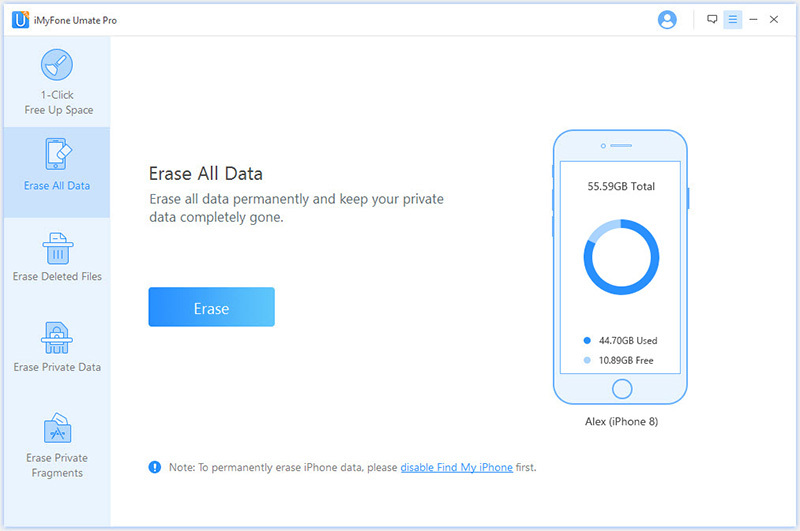 Step 2: Choose the "Erase All Data" mode for the task. Step 3: Tap "Erase" to wipe out your iPhone data permanently. Move to iOS Not Working? Here Is The Fix? How to Change Font Style and Size on iPhone with/without Jailbreaking (iOS 12 Supported)? How to Disable In-App Purchases on iPhone/iPad?